Snow Removal Services – Don's Custom Landscaping Inc.
We offer many winter weather related services including snow plowing, snow removal, and salting. 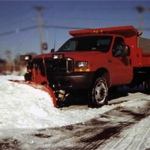 Our professional plowing fleet is fully equipped to handle even the heaviest snowfall. Our trucks are subject to frequent tune-ups and checkups to ensure top performance and reliability. Salt spreaders are installed on most of our trucks to provide our customers with salting services. Call us now for more information and a free estimate!